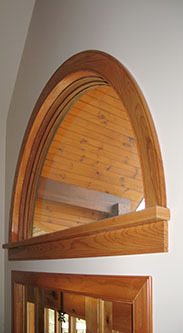 Round River Woodworking's radius or curved casings are made using three different methods. 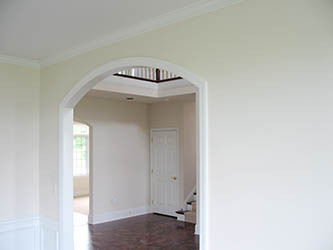 Paint grade curves are made using MDF (Medium Density Fiberboard). 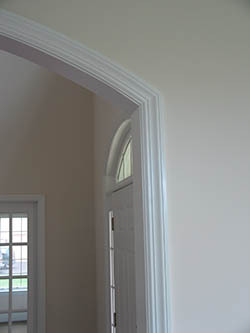 We can reproduce any profile with a radius of 4 ft. or less in one piece. 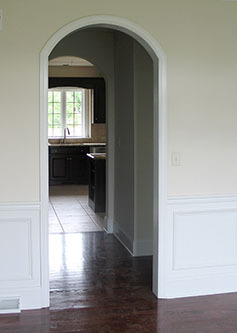 These MDF casings paint very well and are extremely stable. 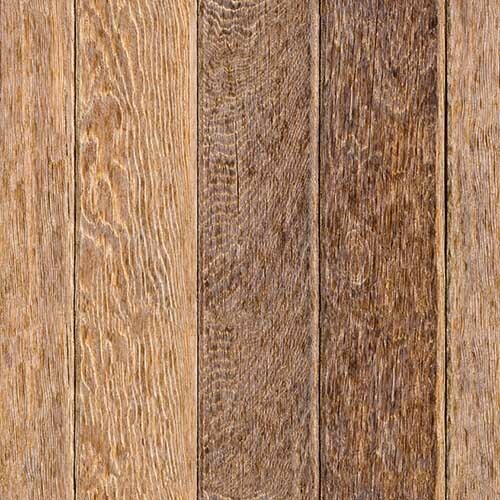 For hardwood radii, we use either re-sawn laminations or biscuit joined segments. Both stain and finish beautifully. Ellipses are not a problem.